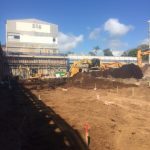 ‘Mercato’ in Byron Bay is leading the way in the area for environmentally friendly commercial space, looking to have a five-star green star rating for the retail and dining precinct. 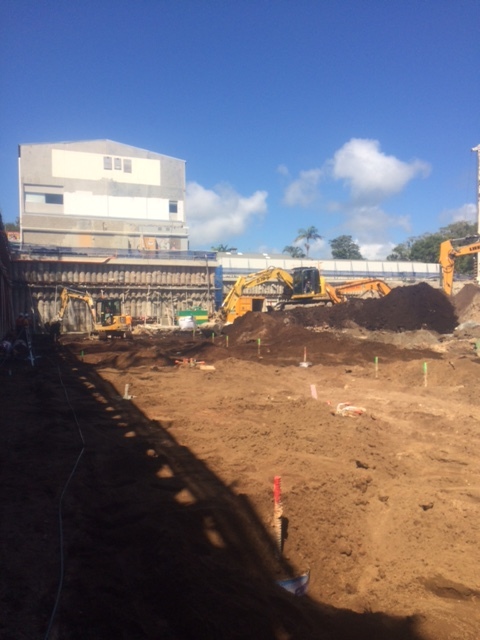 Azzura Corporation engaged Hutchinson Builders for the construction of Mercato in Byron Bay. 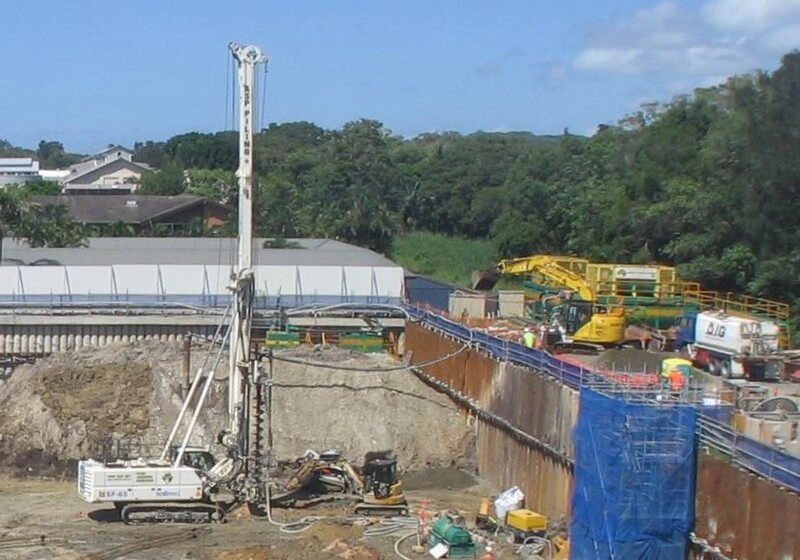 ASP Piling was contracted to install the retention walls and foundation piling for the basement, and Australian Dewatering Systems for the dewatering of the project. ASP Piling’s ability to use a combination of piling options to suit a variety of requirements on one site was brought to the fore at Mercato. Hutchinson builders were required to minimise disturbance to roadways and neighbours, whilst allowing the largest basement car-parking footprint possible. 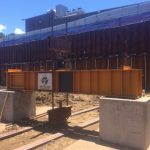 ASP Piling’s engineers worked with our clients to come up with a design that incorporated a section of top-down construction, foundation piles, retention piles including both secant and sheet piles, and dewatering for the most cost and time effective outcome. Click here to see the rigs in action at Mercato. Top-down construction is effective when there is an inability to using anchoring or the ground-level slab is needed immediately. The bulk excavation can continue after the slab is poured, also limiting the need for bracing where the slab is fixed. A section of the Mercato site was needed at ground level throughout construction making top-down construction most effective. Given the overall area and ease of excavation for the remainder of the site, the more traditional bottom up retention and bulk excavation was used for the rest of the site. 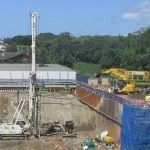 Pre-existing buildings close to the site boundary meant that secant piling was used for retention where minimising ground disturbance was necessary. 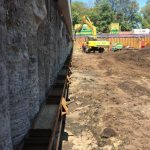 Sheet piling was then used where suitable to keep costs minimised. 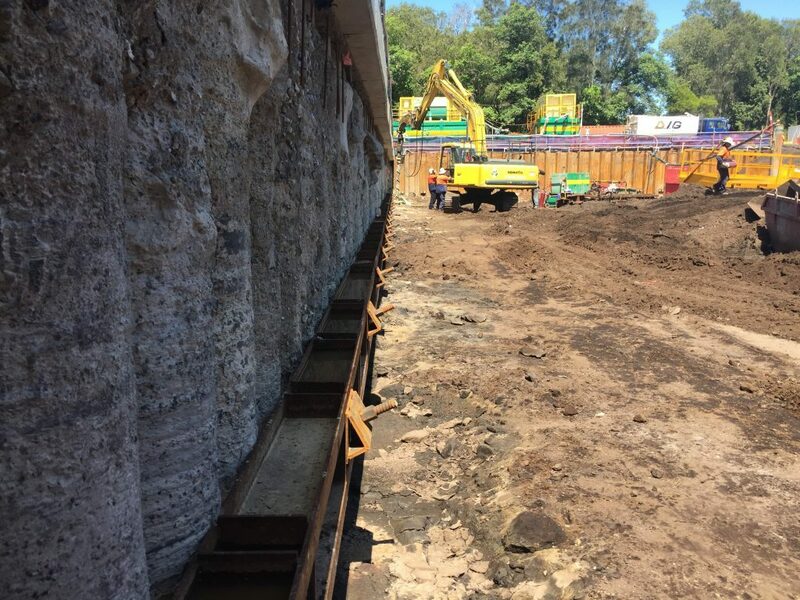 A total of over 60 lineal metres of secant piling and over 250 lineal metres of sheet piling, both ranging in depths of 7-8 metres was used for basement retention. Additional sheet piling was used for the lift pits. ASP Foundation Piling installed the foundation piles for the project. 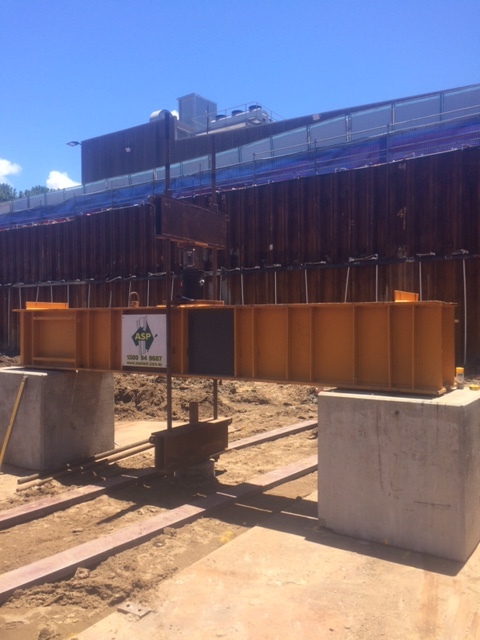 Australian Dewatering Systems was engaged to ensure the site remained dry throughout basement construction. The installation of a spear system along with a generator, fuel cell and our environmental equipment, a dewatering management plan and compliance monitoring were all part of the services provided. 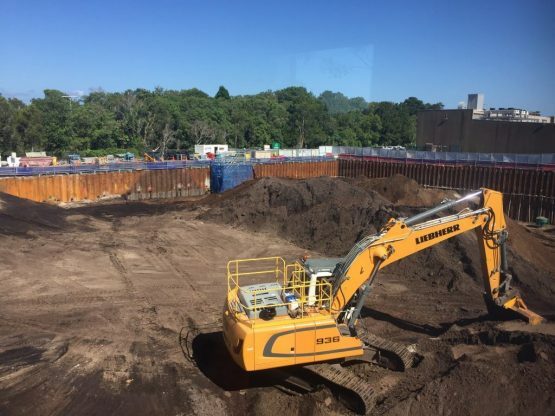 In keeping with the environmental philosophy behind the Mercato project, ADS has installed a pH, Iron and Sed tank to ensure that all water discharged from site met or exceeded environmental and council standards for the duration of dewatering.